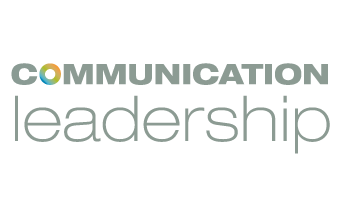 Every year, the UW Department of Communication honors outstanding alumni who are making a difference in their careers and out in their communities by inducting them in to the Department’s Alumni Hall of Fame. Selections were made based on input from faculty, staff, and current Hall of Fame members. The new group includes a business leader who represents and advocates for diversity, a literary nonfiction writer who combines lively narrative with deep research, a primetime TV personality and contributor to the history of movies, a radio genius who brings life to hot topics, and a selfless volunteer committed to local and statewide charities. The ceremony will be held on Thursday, October 1 from 5 to 7 p.m. at the University of Washington Club. RSVP here. Fukui-Sketchley is the Corporate Center Diversity Affairs Director for Nordstrom, Inc., a company she has served for over 20 years. 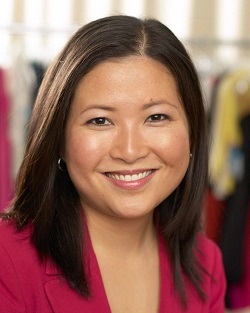 Her journey at Nordstrom began while she was still an undergraduate at the UW. But her role as a salesperson quickly evolved, ultimately finding a permanent home in Diversity Affairs. In her position, Fukui-Sketchley oversees community outreach and contributions to national non-profits. The alumna is also committed to giving back to her alma mater. In 2011, Fukui-Sketchley became the youngest person to be appointed President of the UW’s Alumni Association. Under her tenure, the Board established UW Impact, an independent body dedicated to higher education advocacy in the legislature and increasing awareness of the UW’s role in the state’s and nation’s economy, both fiscal and economic. For over 12 years, she’s also been an incredible supporter of the UW’s Office of Minority Affairs—which works to increase access to higher education for minority, first generation and low-income students—including service on its Friends of the Educational Opportunity Program board. Outside the UW, Fukui-Sketchley serves on the boards of the US Business Leadership Network, the Center for APA Women and the Governor’s Disability Employment Task Force. Kessler is the author of thirteen books, including Pacific Northwest Book Award winner “Dancing with Rose,” Oregon Book Award winner “Stubborn Twig” – chosen as the book for all of Oregon to read in honor of the state’s 2009 sesquicentennial – Washington Post bestseller “Clever Girl,” Los Angeles Times bestseller “The Happy Bottom Riding Club,” and her newest, to be published later this fall, “Raising the Barre: Big Dreams, False Starts and My Midlife Quest to Dance the Nutcracker” – all works of literary nonfiction. She is a “semi fearless immersion reporter” and self-designated guinea pig journalist who combines lively narrative with deep research to explore everything from the wild, wild west of the anti-aging movement to the stormy seas of the mother-daughter relationship. Her journalism has appeared in The New York Times Magazine, Los Angeles Times Magazine, O Magazine, Salon, The Nation and elsewhere. She blogs at counterclockwisebook.com. She is also the author of “The Dissident Press,” a history of alternative journalism, and three textbooks. 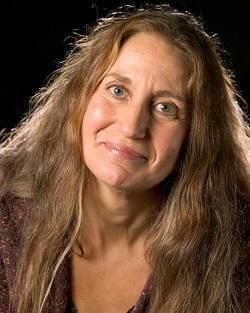 The director of The Writing Initiative at the University of Oregon School of Journalism and Communication, she also founded and directed graduate programs in Literary Journalism and in Multi-Media Narrative Journalism. Part reporter, part cultural anthropologist and part historian, she has a particular interest in American subcultures and in ill-behaved women who make history. She earned her M.S. from the University of Oregon in 1975, and her B.S.J. from Northwestern University in 1972. 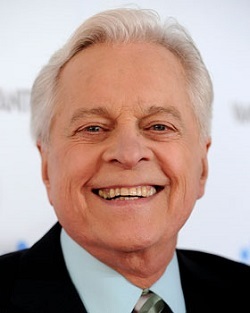 Osborne has been the primetime host and anchor of Turner Classic Movies (TCM) television network since TCM first aired in 1994. Since 1977 he has also been a writer for the daily show business trade publication The Hollywood Reporter and in 1983 he began writing the paper’s lead column Rambling Reporter, which covers all aspects of the movie, television and Broadway worlds. He is also known as the official biographer of Oscar because of the series of books he’s written on the subject of the motion picture industry’s annual Academy Awards, his latest being “80 Years Of The Oscar,” which was written at the request of the Academy of Motion Picture Arts and Science. In 2005, Osborne received an Honorary Doctorate from the Academy of Art University in San Francisco. In 2006, he received a star on the Hollywood Walk of Fame and since 2006 he has been the official red carpet greeter at the annual Academy Awards ceremony. After graduation from the UW, he moved to L.A. and was soon signed to a contract as an actor by Lucille Ball and Desi Arnaz at their Desilu Studios, but quickly turned to writing. As TCM host, he has interviewed such film icons as Lauren Bacall, Shirley MacLaine, Mickey Rooney, Tony Curtis, and Debbie Reynolds, to name just a few. He hosts several other shows for TCM and has interviewed most of Hollywood during his career. Osborne is one of the investors in The Rose Theater Port Townsend, WA. Since 2005, he has hosted the annual Robert Osborne’s Classic Film Festival, held in Athens, GA.
Ross Reynolds has been co-host of KUOW’s daily news magazine The Record since September 2013. Before that he hosted The Conversation, KUOW’s award–winning daily news–talk program from 2000 to 2013. 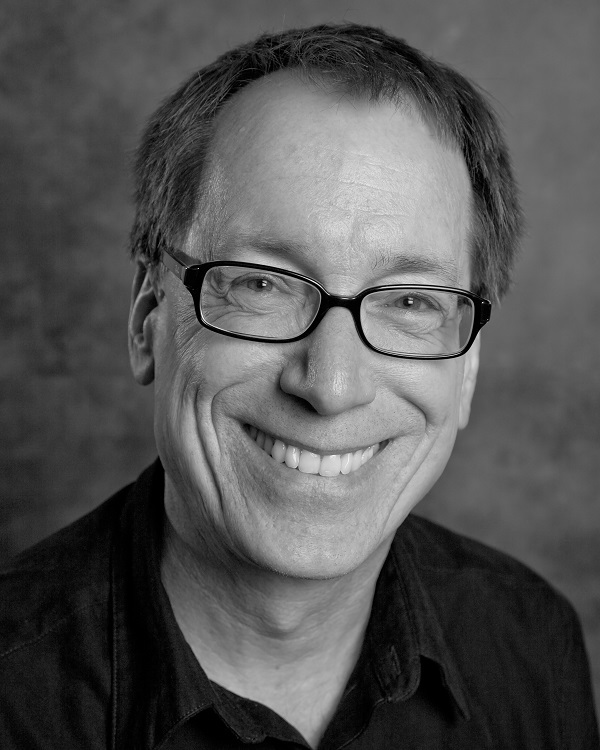 Reynolds came to KUOW in 1987 as news director and in 1992 became program director and changed the station’s format from classical/news to news. In 1998, he became program director and news director. KUOW’s coverage of the World Trade Organization protests in 1999 won a National Headliner First Place Award for Coverage of a Live Event. Along the way, he hosted the daily magazine program Seattle Afternoon; the award–winning regional newsmagazine Northwest Journal that aired in Washington, Oregon, Idaho and Alaska; and Upon Reflection, the weekly public television interview program on KCTS Seattle. He is a frequent moderator for political debates and discussions in the Seattle community and has participated in journalism fellowships which have taken him to Germany, the Kingdom of Tonga, Tokyo, South Korea and Malaysia. His pre-KUOW career included seven years as news director at community radio station KBOO in Portland, five years as news and public affairs director at WCUW in Worcester, Massachusetts, two years as music editor of Worcester Magazine, and short stints as fill-in news director at KMXT Kodiak, Alaska, and the Pacifica National News Service, Washington, DC, bureau. Ross has a cameo role in the documentary film “Manufacturing Consent,” an intellectual biography of Noam Chomsky. His list of awards and honors is long, and includes First Place Call-in Program, Division A, Public Radio News Directors in 2012 for ‘Living in a White City,’ a conversation with callers about what it meant that Seattle is predominately white; the National Headliner Award First Place Award in the “Coverage of a Live Event” category for Battle in Seattle – breaking coverage of the World Trade Organization demonstrations on November 30, 1999; and 2010’s Best Public Radio Gabber from Seattle Magazine. He has two Edward R. Murrow awards and a Society of Professional Journalists Excellence in Journalism Award, First Place for his coverage of the Newspaper strike in the early 2000s. Walker had a lifelong career at the phone company, starting when it was Pacific Northwest Bell and ending when it was U.S. West; he was the Vice President and CEO of the Washington Division. As a civic leader, he chaired the board of the Fred Hutchinson Cancer Research Center, leading the Hutch through the transition period when the Hutch moved from First Hill to its new campus in South Lake Union. He also provided excellent leadership to many other leading Seattle and statewide organizations, including serving as board chair of Greater Seattle Chamber of Commerce, Association of Washington Business, Washington Chapter of The Nature Conservancy, YMCA of Greater Seattle, Seattle-King County Economic Development Council, and Washington State Developmental Disabilities Council. He also served on the boards of United Way of King County, Leadership Tomorrow, Washington Roundtable and the University of Washington Development. He is a member of the Washington State Growth Strategies Commission and a member of the Washington State Efficiency in Government Council. He also was a founding board member for Seattle’s Alliance for Education. He was an active contributor in every organization where he served as a volunteer. For more information, please contact Victoria Sprang at vsprang@uw.edu or 206-724-3580.